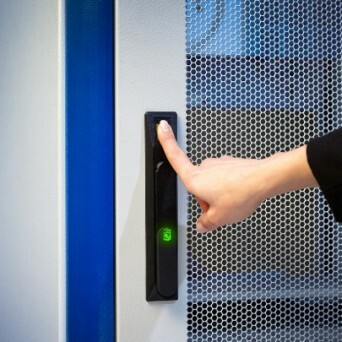 Our “at the handle” approach to data cabinet security has put the strength of biometric fingerprint technology at the disposal of industries like cloud / colocation facilities, business and commercial, military IT, military bases, Universities and colleges, as well as highly-sensitive patient and other healthcare services – and made reliable security so much simpler for the user. With our Biolock system state of the art technology is embeded at the cabinet handle so that access is made simple for the users and control enhanced for site operators. The system provides 100% Accurate Biometric Access Control of entire enterprises, including distributed enterprises, with Indisputable Audit Trails covering all personnel and every access point. Our approach is simple, robust, advanced and user friendly at all levels. 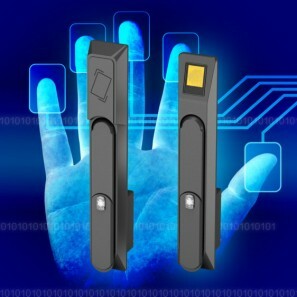 By putting technology where it is needed, at the handle on all access points, the Biolock system provides a unique combination of proprietary software, fingerprint recognition technology and unique system configurations that ensure data is protected from both outside and insider threats. 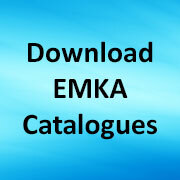 Read our Whitepapers on the subject or Contact us to discuss your site/project requirements for new or retrofit solutions. Share the post "Simple Physical Data Security"